leave the individual information and picture off to make a single contact for all of your dogs. Either way your dog's protection is less than 6 cents per day. Changes and revisions to your information are FREE for up to 2 changes per year. Pricing is based on a "per entry" subscription basis and is either billed to the provided billing address or is collected via secure server at Pay Pal. Data accuracy is the responsibility of the subscriber and should be checked from time to time to insure correctness. DogID is not responsible for error or omissions. Due to the nature of the Internet and electronic media DogID makes no guarantee that your information will be available everywhere at all time. We have an excellent reputation at keeping our computer operations up and will endeavor to continue to do so. DogID.org supports dog rescue groups and breed clubs with special discounts. 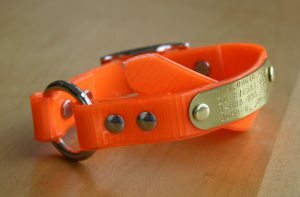 Contact us for more information to use DogID.org as a way to help raise money for your rescue unit or breed club.